Plumbing Services Clifton: What Is Water Hammer And How Can You Fix It? You may have heard the term “water hammer” before, but didn’t know what it meant. Or maybe you’ve experienced it before but never knew there was a term for it. “Water hammer” refers to a loud thunk or knocking noise when you turn a faucet on or off and you may even hear this in your dishwasher, washing machine, or any other area of the home that has running water. It can range in severity from a small knocking noise to a loud thunk like someone threw a rock against your wall. Either way, water hammer is something you should get checked by your local plumbing company to ensure there isn’t a serious problem. In order for water in your pipes to make it to your faucet, they need to be under pressure. When you turn the faucet off quickly, the water will slam into the closed valve and make the loud noise you’re hearing. This is referred to as a hydraulic shock, a shock wave created by a sudden change of movement of a non-compressible liquid. Over time, this shock wave can cause a variety of problems like damaged water-connected appliances, broken pipes, and loose fitting fixtures. 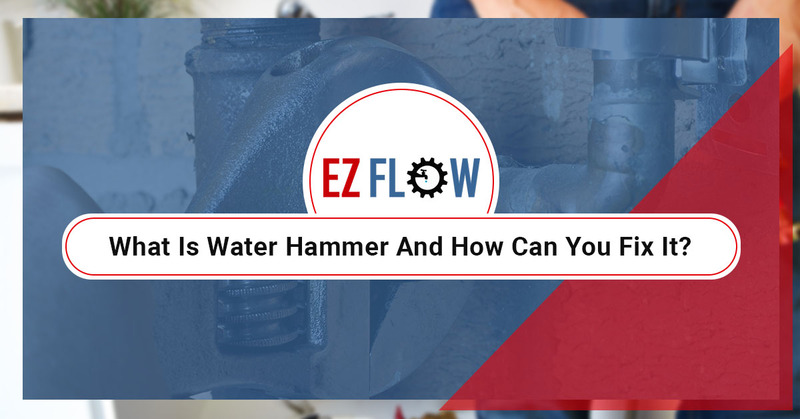 Now that you know the damage water hammer can cause on your home’s plumbing, you’re probably wondering what you can do about it. 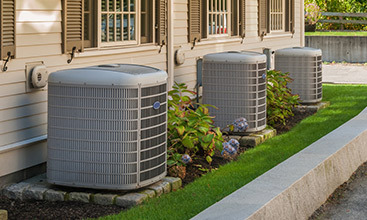 Assuming your home’s plumbing system isn’t old, air chambers may be the solution you’re looking for. Air chambers are installed directly behind a valve and look like a short vertical pipe. This pipe fills with air instead of water since it’s higher than the valve. This air acts as a shock absorber when the flow of water stops abruptly. If water begins to seep into this air chamber, water hammer may occur. Fixing this issue is relatively easy. 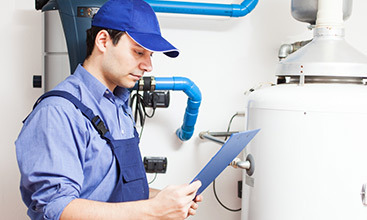 Start by shutting off the main water valve in your home. This is usually located in the basement or an outside wall in a utility area of your home. Once this is done, you can open the faucets at their highest and lowest points of structure. The water will begin to drain from your plumbing system and the air chamber will begin to refill with air. Give it a minute, and turn your main water valve back on. Check the faucet to see if the knocking has gone away. If this fix worked for you, you should employ this method any time the need arises. However, if this didn’t work for you, your plumbing system may be permanently damaged and need repairs. 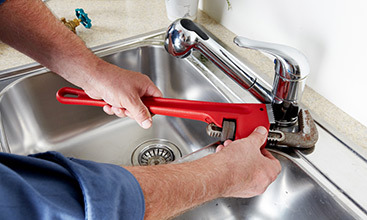 There is any number of issues that could be causing a knocking noise in your faucet or pipes so it’s best to have it inspected by an expert. Here at EZ Flow Plumbing in Clifton, we have 20 years of experience and all of our technicians are fully licensed and certified. If you have any questions or you’re ready for a free consultation, contact us today.